Note – To kick off "Skyline Week", here's a repost of a retrospective I did during Nissan Month in November '08. The Skyline is one of Japan's longest running car models and Nissan celebrated the 50th anniversary of the car in 2007. 50+ years is a long time for ANY car model, especially a Japanese one. Actually, to say "Nissan Skyline Retrospective" is not entirely correct as the earliest models were not made by Nissan itself, but by the Prince Motor Company, which merged with Nissan in 1966. The model pictured above is the first Skyline ever, the 1957 Prince Skyline. 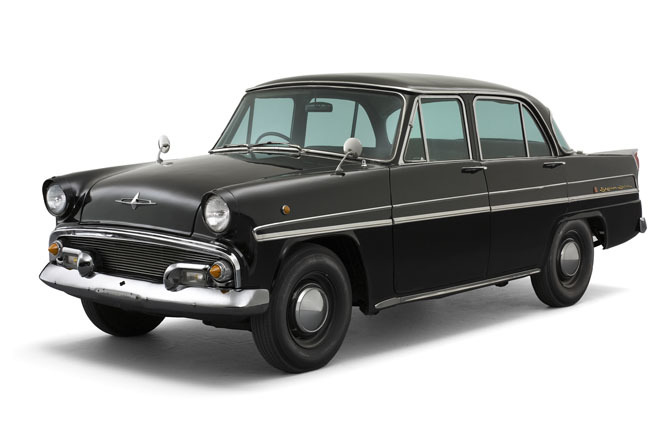 The Japanese automakers were just starting to grow out of postwar gloom during this period, and the Prince Skyline was a pretty advanced car for its time. 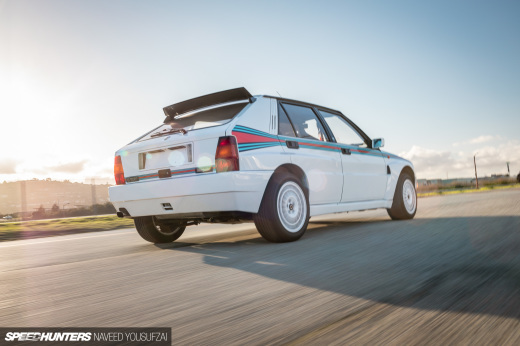 It was powered by 1484cc OHV four cylinder that cranked out a whopping 60ps. As with a lot of Japanese cars of the day, the exterior of the Skyline resembled a scaled down American car. 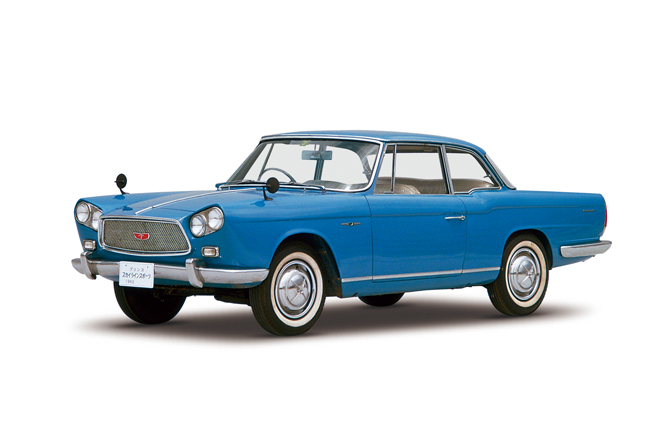 This first generation Prince Skyline would last until 1963. Of all the first gen Skylines, the most exotic has to be the Skyline Sport which was launched in the early '60s. The bodywork was done by Italian designer Giovanni Michelotti, and the car was shown at Torino International Motor Show in 1960. When looking at it, the car does have a very European feel to it, and the angled headlights remind me of Chrysler 300C of the same the vintage. There was even a convertible version produced. The Skyline Sports also marked the model's first moves towards becoming a performance-focused car as it packed a 1.9L four cylinder that made 96ps. The Skyline Sports models were sold in very low numbers and are extremely rare today. Of the second generation Skylines, the best known is the S54 model, which debuted in 1964. The car pictured here is the racing version which was campaigned in the 1964 Japan Grand Prix. The race car had a 2.0L inline six that made 165ps, which was some serious power in the mid '60s. The '64 Japan GP was won by a Porsche 904, but the Skylines took 2nd-6th place consecutively. The experience of the S54's would be very valuable when it came to upcoming Skyline GT-R program. And now we have the car which everyone is probably familiar with, the C10 series Hakosuka Skylines. In case you didn't know, the term "Hakosuka" comes from the car's boxy styling. Hako means "box" in Japanse and comes from the first part of the Skyline name. 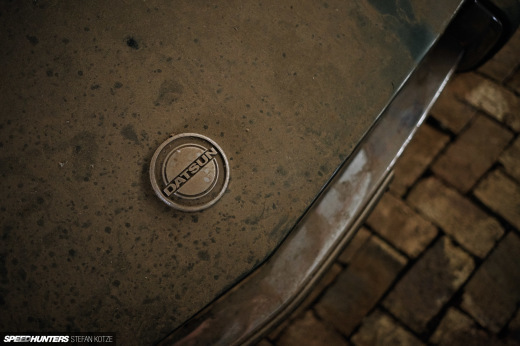 The C10 was launched in 1968 and by that time Prince and Nissan had completed their merger and the car would be badged as a Nissan. The early models were available only with four cylinder engines, but the L20 inline sixes were added later on. 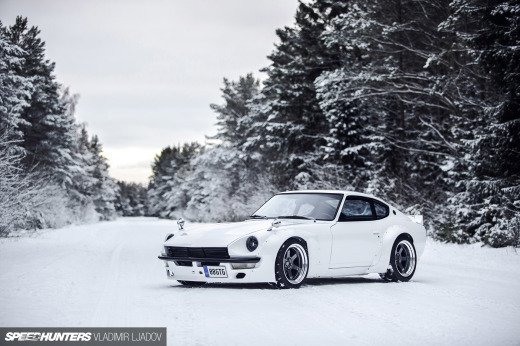 The 2000GT models would go on to become the favorite of Japan's early hot rodders and tuners. The bigger news of course, was the debut of the 2000 GT-R model in 1969. 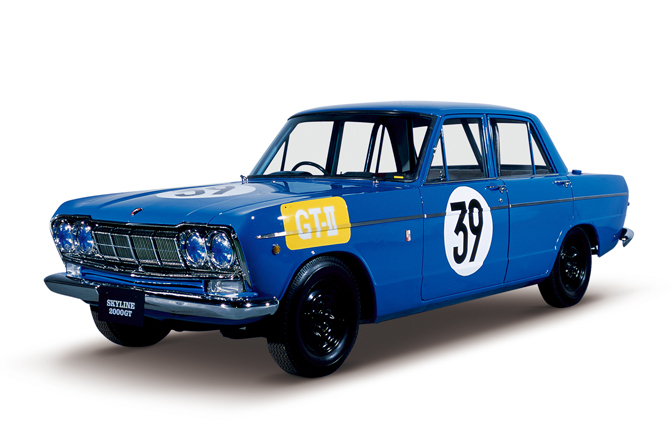 The Haoksuka GT-R had the twin cam S20 inline six which was derived from the engine from the R380 race car. The PGC10 GT-R sedans dominated racing starting in May, 1969 at the JAF Grand Prix race at Fuji Speedway. In 1971 the KPGC10 GT-R coupe was introduced and it continued the GT-R's streak of racing dominance with the new, sleeker body. In Japan, the Hakosuka GT-R is arguably the most famous domestic car, and the Hakosuka Skyline in general is now an icon among Japanese car enthusiasts around the world. Following the Hakosuka was the C110 series of Skylines which was introduced in 1972. 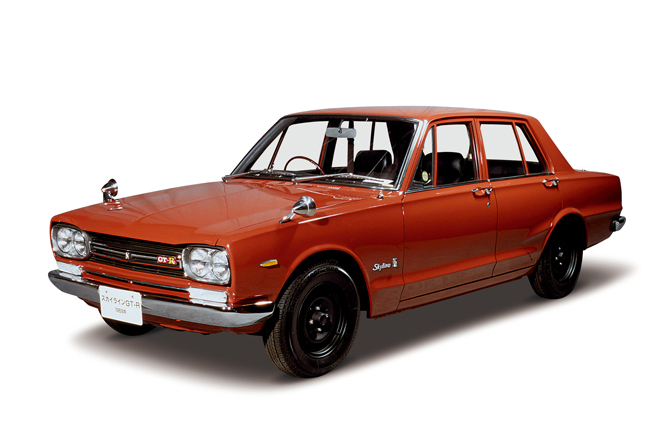 The 110 Skylines quickly became known as the "Ken & Mary" or Kenmeri following the TV commercials which showed "Ken" and "Mary" enjoying their new Skyline in the Japanese countryside. The Kenmeri Skylines were available in a number of different body styles, but the two door coupe with its fastback styling was the most famous. I remember when I first learned about these cars several years ago, I couldn't believe how much the the car looked like a shrunken Dodge Charger or another American Muscle Car from the early 70's. 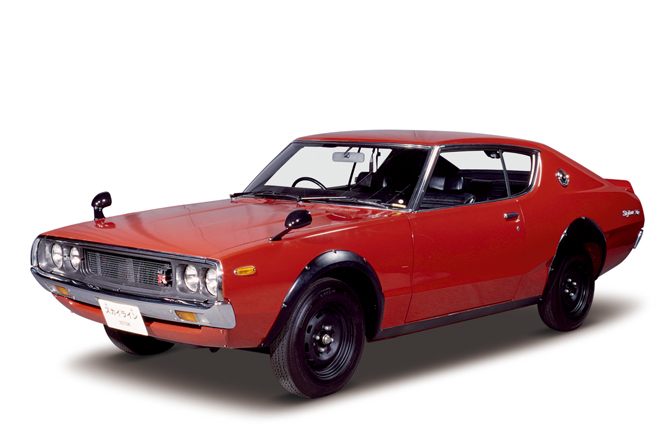 The car in the photo above is the 1973 KPGC110 GT-R, which is the rarest Skyline GT-R model ever. Only 197 were built before the gas crunch and a changing market put the GT-R nameplate on a long hiatus. Unlike the Hakosuka, the GT-R racing program for the Kenmeri never went beyond the prototype stage. The normal Kenmeri Skylines, however, sold very well and they remain extremely popular among vintage car fans. The next Skyline model was the C210 series which hit the market in 1977. The 210 Skylines were nicknamed "Japan", which again came from the car's advertisements. By the late '70s the times had changed and the Japan Skylines never quite had the following of the Hakosuka and Kenmeri. Of course there was no GT-R model, nor were there any race car versions. The car did become popular among tuners, and it is really common to see Japan Skylines done up in the shakotan/boso/granchan style. In stock form, they are pretty unremarkable, but they can become very cool with a little dose of vintage JDM style tuning. Wow. Spanning 50+ years of Skyline history is a lot of work. Let's take a break here and I'll continue tomorrow as the Skyline enters the 1980's. I'd ask you guys what your favorite vintage Skyline is, but I don't think there will be too many people who WON'T say Hakosuka or Kenmeri. Am I right? As for me, a two door Kenmeri Skyline is definitley one of the cars that would occupy a spot in my dream garage. My favorite vintage skyline is a 4dr kenmeri. And for the modern skyline's i have to go with the V35 skyline coupe. Haha cool write up! Old skyline's look so cool!...I personally would a Hakosuka also. You should do a sileighty write up next! That would definately contribute to the Nissan month! I would say the most exotic would be the Skyline 1900 Sprint, despite never making it into production, it was certainly a sight more exotic than the Sport. Which is still a beautiful car in both R21A and R21B form. It would also pay to note that although the 210/211 series had no GT-R the face-lifted 211 was the first Skyline to become turbocharged, in the form of an L20ET. 4 door Kenmeri and Hakosuka GTR is my top choice! As for my favourite, I'd really love a '57. I should really be content with my First Gen '63, S21D-4 and Fourth Gen '73, KHGC110. Actually, I'd take the Skyline Sport. I remember first seeing it in Gran Turismo 4 and thinking, "That's a Japanese car?!!". Also reminds me of a Gordon Keeble, look that one up (It's an Italian bodied, British chassied, American powered French car!). @Neil: same favorite here! 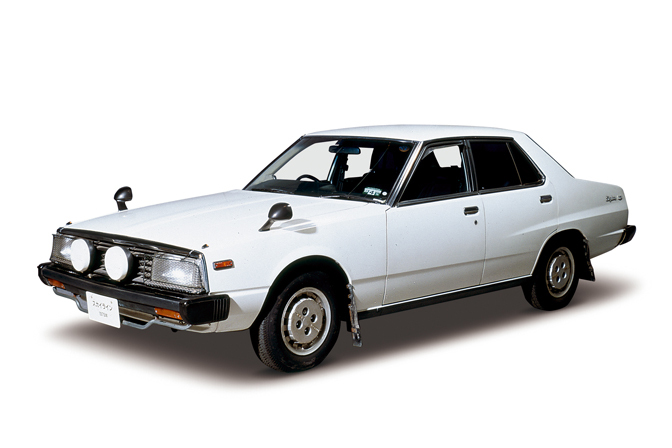 I love the boxy early 80s JDM cars, especially the Tekamen. However I do like the R30 4 door bodystyle as well for its practicality. Classic Skyline love! From Prince Classic to Nissan racing legend. 4 doors pimpin, how else can you squeeze all them fly girls with the half shirts, head bands an knee pumps in your coupe?, YOU CANT! I really want a Hakosuka and Kenmeri GT-R. They're both my favorites of this era. A nice history thread for the ppl who want to know about the earlier Skyline's. Quite a drastic change to the shell quite early on in its life, doesn't look like it could even be designed by the same man [or team].. makes you wonder what prompted the change. It was quite understated at first then booom!! - sporty saloon styling and the rest is history - nice post - it's always good to 'gen-up'..